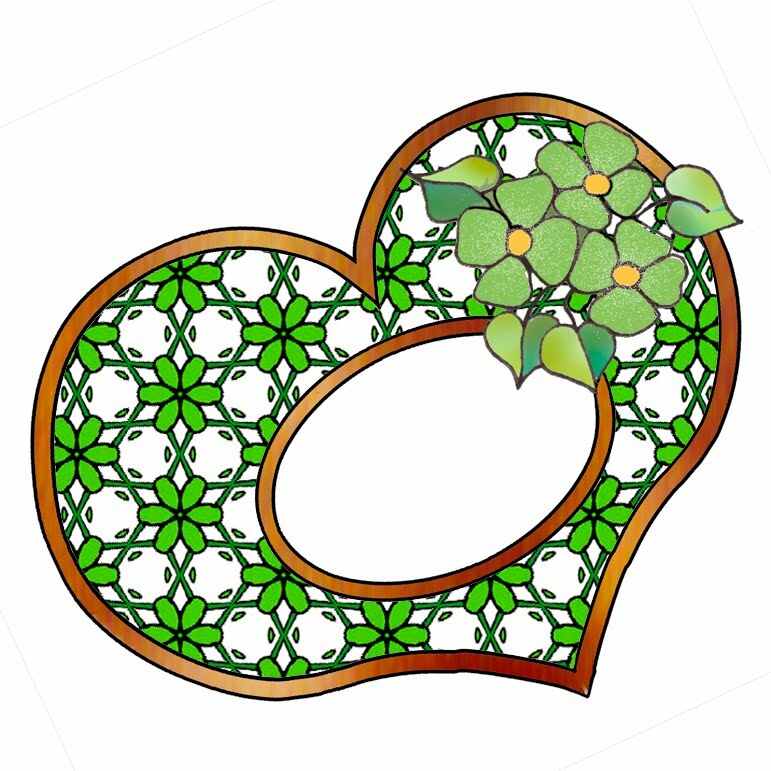 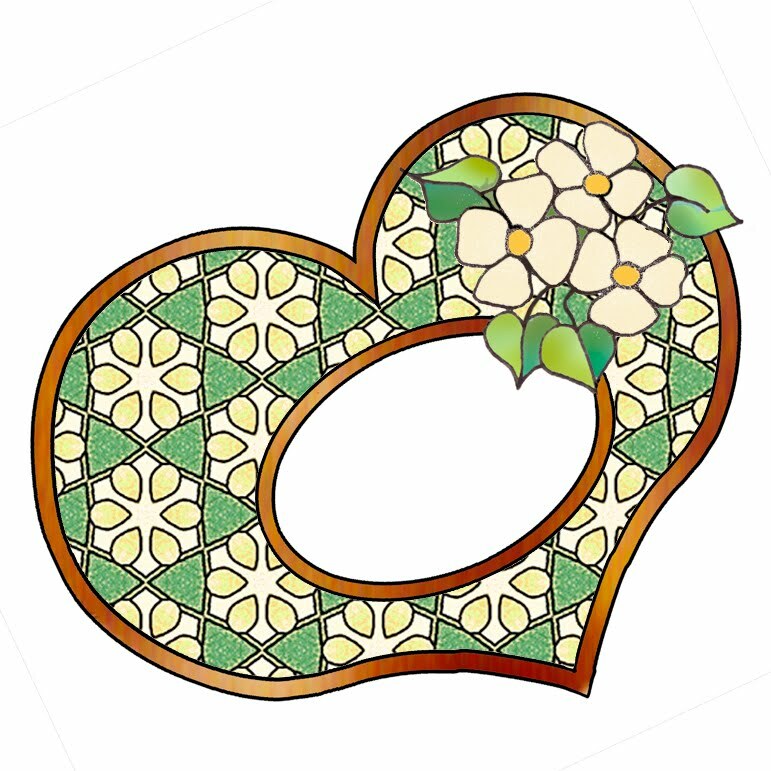 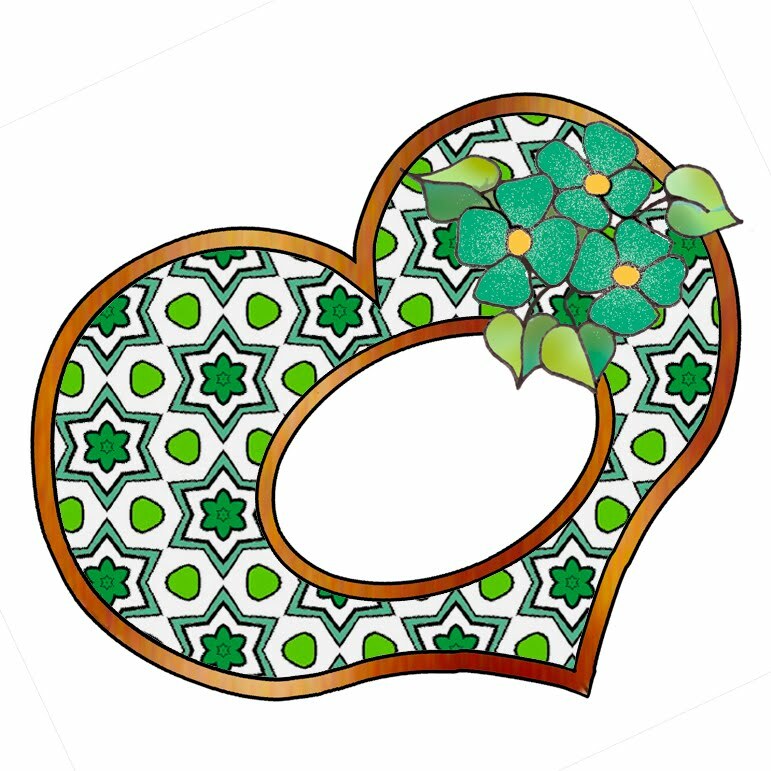 Lots of different shades of green - HEART FRAMES WITH BLOSSOMS: This frame is part of a collection of scrapbook frames all trimmed with a cluster of three blossoms. Each frame is also outlined with gold, both on the outside and the inside. 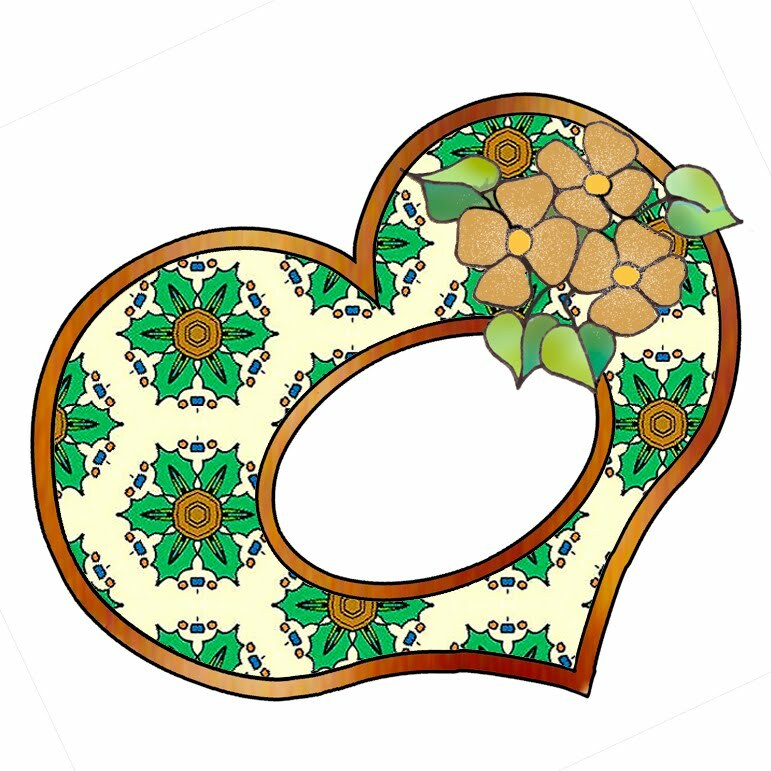 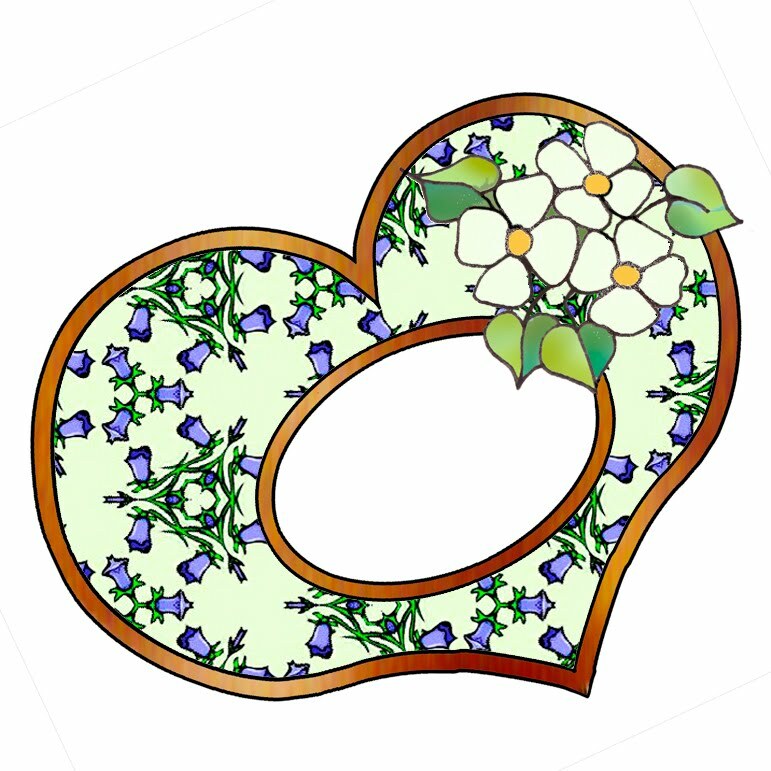 The hole for your photo is oval in shape.KEYWORDS: flowers, hearts, cards, print, free to download, download. 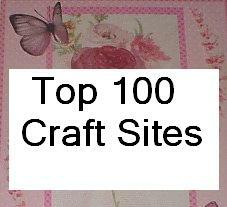 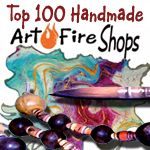 *To get small images, copy directly from here. *For the full size prints, click the image then copy to your computer.